Stefani Bittner co-wrote The Beautiful Edible Garden, deemed one of Amazon's Best Garden Books of 2013 (Ten Speed Press, 2013). 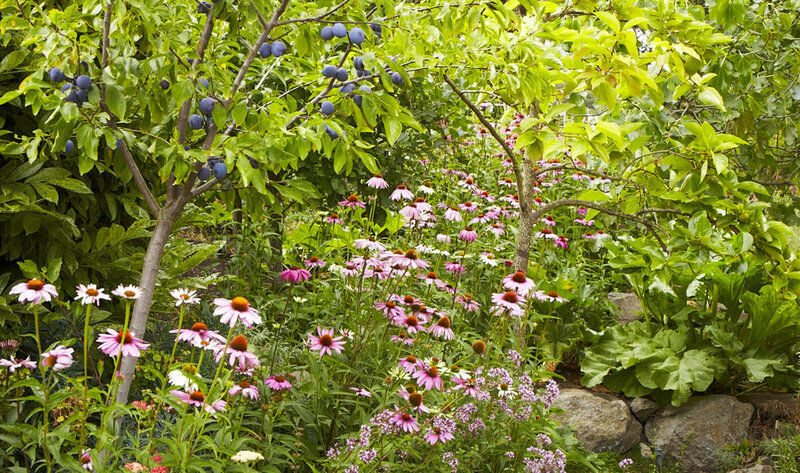 The Beautiful Edible Garden shares how to not only grow organic fruits and vegetables, but also make the garden a place of year-round beauty that is appealing, enjoyable, and fits one's personal style. Featuring a fresh approach to garden design, glorious photographs, and ideas for a range of spaces- from large yards to patios- this guide is perfect for anyone who wants a gorgeous and productive garden. More recently, Stefani teamed up with Studio Choo's Alethea Harampolis to co-write Harvest: Unexpected Projects Using 47 Extraordinary Garden Plants (Ten Speed Press, 2017). Harvest is a beautifully photographed, gift-worthy guide to growing, harvesting, and utilizing unexpected garden plants to make organic pantry staples, fragrances, floral arrangements, beverages, cocktails, beauty products, and more. Stefani and Alethea demonstrate how to turn turmeric root into a natural dye, oregano flowers to infuse vinegar, anise hyssop into a refreshing iced tea, and so much more. The book is both an informative garden guide and a source of inspiration for aspirational yet achievable projects. Stefani regularly speaks on the themes of The Beautiful Edible Garden and Harvest at events throughout the country. She's available to talk and lead workshops on these subjects at private events, garden clubs, and garden shows throughout the Bay Area. If you're interested in learning more about having Stefani speak or lead a workshop at your event, please leave a message here.